Are you a higher rate taxpayer with a family? Need a three bedroom home convenient for the City and West End but can’t afford the rent charged as oligarchs and Arabs push up prices in Central London? From next year the Tory flagship council of Westminster is to come to your rescue- they are diverting all their new and acquired affordable housing provided by social landlords to help what Ed Miliband, the Labour leader called the “squeezed middle”. This includes helping Iain Duncan Smith style Tory households where dad is the sole breadwinner, mum stays at home with the kids, but dad earns enough to put him in the higher tax bracket. Too bad if you are among the 53 per cent in Westminster earning around £12,500 a year. From next year you are officially too poor to qualify for social housing anymore. You will have to go and live somewhere else. Don’t believe me. See the table in new Westminster Council documents, where the figures are revealed. The gross householder income figure for three bedroom homes actually exceeds the present 40 per cent tax band which this year is £35,001. 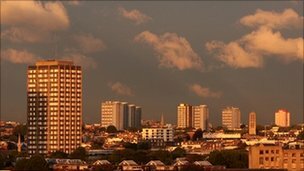 An accompanying document adds: “For some larger non working households, Affordable Rent may not be a sustainable housing option given what is currently known about the welfare benefit cap.” In other words The Conservative policy to cap benefits puts the unemployed permanently in the cold. What is even more amazing is that Westminster is trying to implement housing minister Grant Shapps’ plan to make sure housing association charged 80 per cent of market rents. The problem is that market rents are so high in Westminster, that even the Tory flagship authority is having to ignore the Shapps guidelines. An accompanying document reveals average market rent for a two bed property is now £564 per week in W1, £440 in the SW1 and £316 in NW8. Even Westminster realises that to charge over between £250 and £400 a week would hand over its entire social housing provision to higher rate taxpayers. 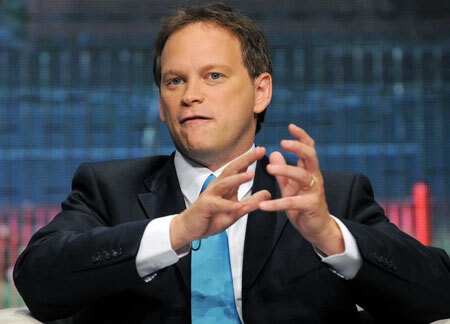 Good policy for ” we are all in it together” from Mr Shapps. And Westminster’s market rents are lower than neighbouring Kensington and Chelsea and the City of London. Can’t wait for their housing proposals following Mr Shapps lead. Not surprisingly Labour councillors in Westminster are pretty scathing about this. However this is only half the story. What was Westminster plans to do with its existing council housing is a matter for a further comment. This entry was posted in town hall, Uncategorized, Whitehall and tagged affordable housing, grant schapps, taxpayer subsidy, westminster council. Bookmark the permalink.